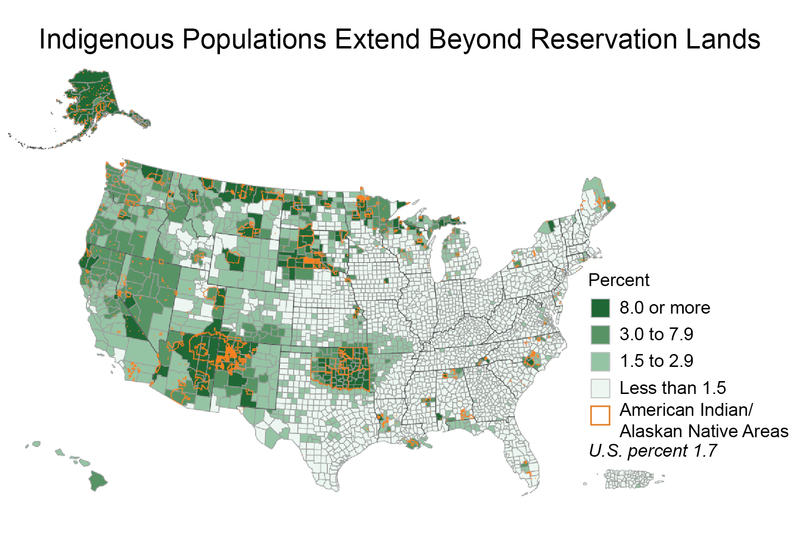 Not depicted in this graphic is the proportion of Native Americans who live off-reservation and in and around urban centers (such as Chicago, Minneapolis, Denver, Albuquerque, and Los Angeles) yet still maintain strong family ties to their tribes, tribal lands, and cultural resources. Tribal Nations may also possess hunting, fishing, gathering, and other cultural rights outside their reservations on lands that have been ceded to the United States. Figure source: Norris et al. 2012.